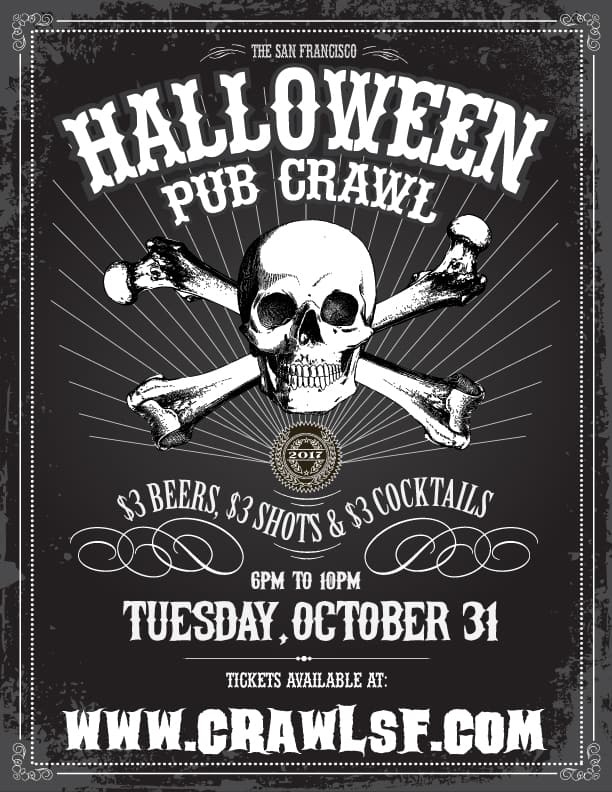 The San Francisco Halloween Pub Crawl is the craziest Halloween Celebration in SF. Last year, over 6000 costumed crawlers took over Polk Street for 2 Days for $3 Beers, $3 Shots, $3 Cocktails, DJs, music, dancing, costume contests & more! It’s Trick ‘r Treating….for adults. MAYES – MCTEAGUES – LUSH LOUNGE – BLUR – BITTERS – VERTIGO – PLAYLAND and more!